Alaska might be thousands of miles from Germany, but that doesn’t mean America’s northernmost state isn’t celebrating the world’s largest beer festival. Not to be left out of any celebration that includes beer, food, music and fun, the state is one of many to hold its own homage to the popular event. 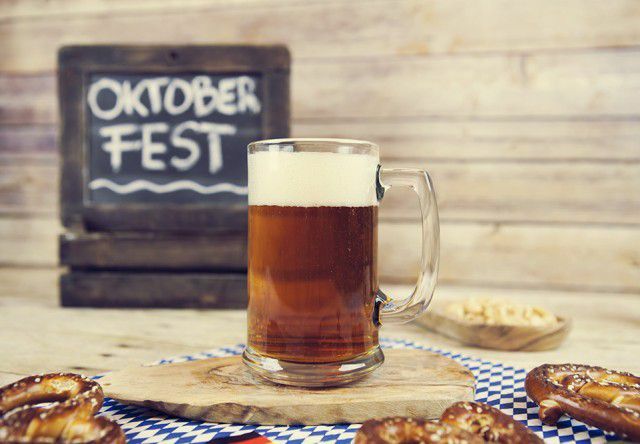 The first Oktoberfest celebration was held in 1810 in Munich to commemorate the royal wedding of Crown Prince Ludwig and Princess Therese of Saxony-Hildburghausen. The fields at the city gates were opened for all citizens to take part in the occasion. It went over so well that the party was held again the following year, this time centered on horse races and an agricultural show. As the years went on, more activities were added including carnival rides and beer stands. Today, the event in Munich is held in the very same fields, called the Theresienwiese, which translates to Theresa’s Fields. It spans 16 days from mid-September to early October and attracts 6 million attendees. The beer stands are now beer halls and each one has room for thousands of people. There’s more food, beer, music and entertainment than ever and the festival is simultaneously celebrated in cities across the globe. In Anchorage on Saturday, Oct. 10, Williwaw will host Humpy’s Annual VIP Oktoberfest Dinner with live entertainment from Alaska Blaskapelle. The dinner offers six courses and seven beers. Once your stomach is completely stuffed, join your companions in a rousing game of Hammerschlagen! Tickets can be purchased here. You don’t need to be in Anchorage, however, to celebrate Oktoberfest in the Last Frontier. Restaurants throughout the state serve up delicious German fare year-round! If you miss the small Oktoberfest window, head on over to Café Amsterdam or West Berlin in Anchorage or Zum Schwabe in Fairbanks for delicious schnitzel, spaetzle and more. With Westmark’s special Permanent Fund Dividend rates, it’s the perfect time to raise a glass with family and friends in Alaska. Rooms are starting at $79 at the Westmark Fairbanks Hotel & Conference Center and $89 at the Westmark Anchorage Hotel through Oct. 30. And don’t forget, you’ll save 10 percent with the code SAVE10 whenever you book directly on westmarkhotels.com. Now that is something to cheers to!